On April First 2005 (no fooling), The Whole World Toilet Paper Museum was gifted the collection of the late Hugo G. Rodeck. 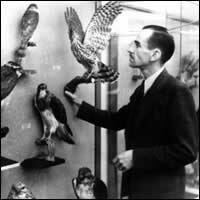 Dr. Rodeck had been a Curator and Director at the University of Colorado Museum. Despite his amazing credentials, there is limited documentation on each piece. It appears that he traveled in his years leading up to his retirement. For the most part, these pieces were collected in the 1960s and 1970s. His usual method of collection was to store the folded sample(s) in the hotel envelope where he stayed. 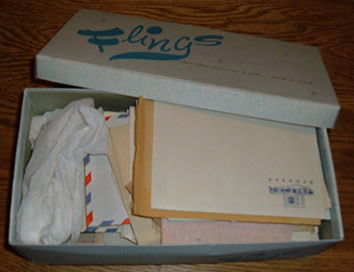 He preserved these mementos in a "Flings" Shoebox. They were shipped with some "current" issue tp used for packing.